Which Countertops are Durable and Environmentally-Friendly? Renovating any new kitchen – or designing one from scratch – takes time and plenty of money. 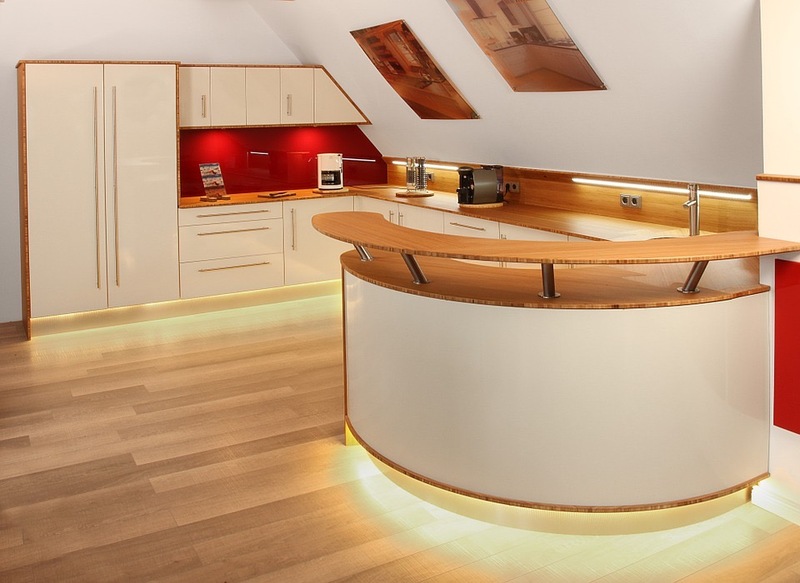 Most people want to design a kitchen that will stand the test of time both in terms of aesthetics and functionality. Otherwise, constant costly revisions will be needed to bring the room back up to par. Kitchen countertops are an important and potentially high-impact element when it comes to environmental concerns. There are many who consider how elements such as water heaters, lighting options, and electronics can affect a home’s carbon footprint or green factor, but this particular element often gets overlooked. Today, we’ll review some countertop surfaces and assess how they stand in areas of both durability and environmental friendliness. Opting for a crushed granite installation in your kitchen may be appealing in some ways, but is it the right choice? From an environmental standpoint, granite countertops use a lot of energy in production and transportation. This makes them less than environmentally-friendly in most cases, but they do have other selling points. When it comes to durability, granite is strong and long-lasting. While it can stain if not periodically sealed and treated, you’re likely never going to need to replace it due to damage or deterioration. Another choice people often consider when shopping for new countertops is one of the many forms of laminate. So how does laminate rank in the durability and environmental categories? When it comes to environmental impact, laminate isn’t the worst choice. It does involve the use of some chemicals and plastics that require oil, but the natural thickness of most laminates means it consumes less material than other countertop surfaces. In the durability category, laminate does not hold up as well as surfaces such as granite. Most laminate countertops need to be replaced every 15 years or so and cannot be recycled. They are also easily damaged by knives, sharp objects, and heavy items. While some people may prefer the genuine thing, there are engineered versions of stone countertops that can be a good balance between these two concerns. Engineered stone is highly durable and heat-resistant, making it one great choice for the kitchen. It also resists staining and can be found in an array of colors above and beyond what standard stone countertops provide. Most forms of engineered stone are manufactured relatively close to the retail destination, meaning that they consume fewer resources in production. For those seeking a balance between environmental concerns and durability, engineered stone is a very good selection. Wood countertops are constantly coming in and going out of style, but what is their environmental footprint and durability? From an environmental standpoint, wood is arguably the best material to use for your countertops. Not only can wood be regrown and replaced easily, but there are many manufacturers who guarantee the wood used in their products is sustainably harvested. In terms of durability, it is not the most damage-resistant surface. However, it does offer natural anti-bacterial properties, can be cleaned easily, and can even allow for superficial damage (scratches, etc) to be repaired via sanding. These four countertop styles all have advantages and disadvantages. Whether you decide to go for the most sustainable surface or the most resistant one, there are options available – as well as options that allow you to balance the two concerns.